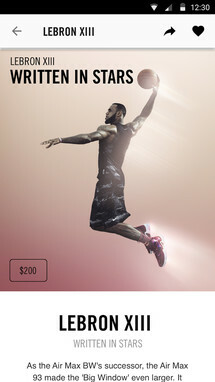 SNKRS is Nike's app for the sneaker lovers, featuring classic and new releases, their story and advantages, some exclusive content, with a customized feed for your preferred franchises and notifications for upcoming designs. 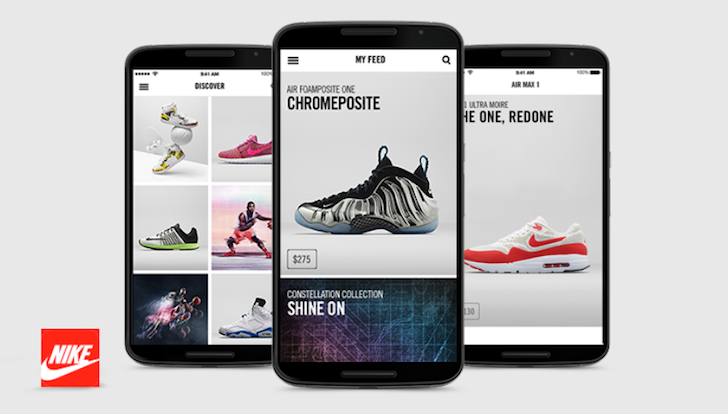 If you find a sneaker you like, you can immediately purchase it within the app without having to wait in line at stores to buy it. 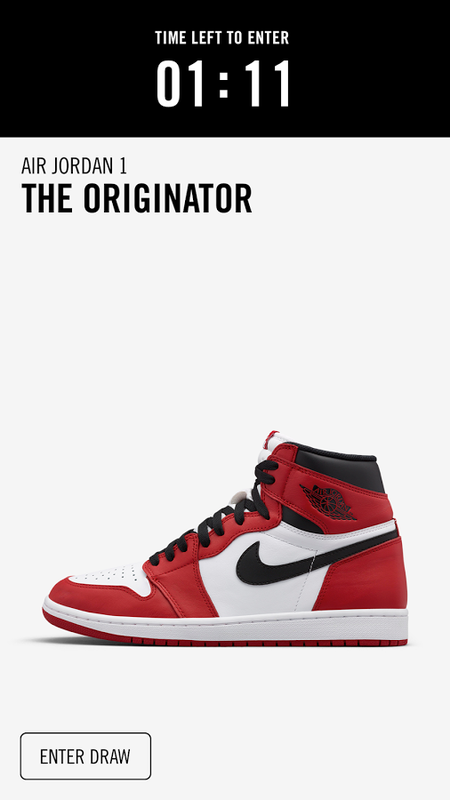 There are also random draws that you can enter for some special releases. 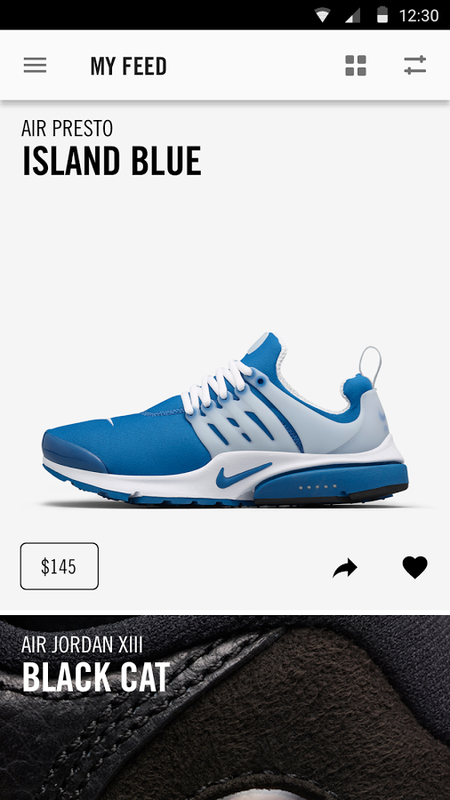 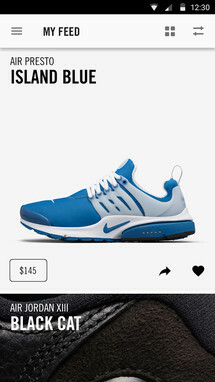 SNKRS is free on the Play Store, and so is looking at all the cool designs. However, you will have to foot the bill to transform those shiny virtual images into real shoes that you can wear.